On March of the Living thousands of Jewish teens - and adults on a separate trip - from around the world gather for a once-in-a-lifetime experience as they march three kilometers from Auschwitz to Birkenau, the largest concentration camp complex built by the Nazis during World War II. Past participants of March of the Living often describe the two weeks they spent one in Poland and one in Israel as one of the most significant experiences of their lives. For more information about the young adult program or the adult mission click here or email sgoldberg@jewishvancouver.com. 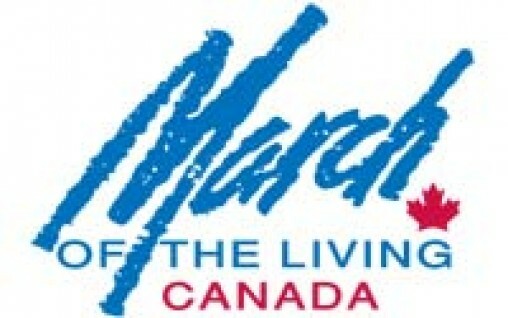 Jewish Federation is proud to offset the cost of March of the Living by $2,000 for each local participant. The funds for this are generated through the Federation Annual Campaign, and are distributed to participants through Israel and Overseas Connections fund. We also provide support through staff resources, program leader training and participant education. Scholarships are available through the Jewish Federation of Greater Vancouver and the Royal Canadian Legion - Shalom Branch. For more information click here. Learn more about March of the Living.